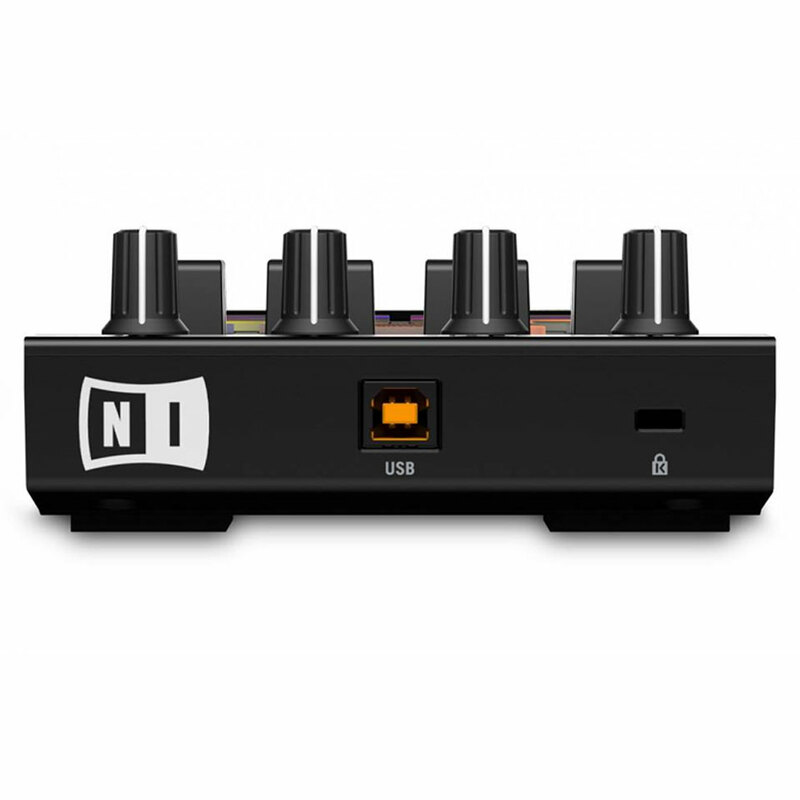 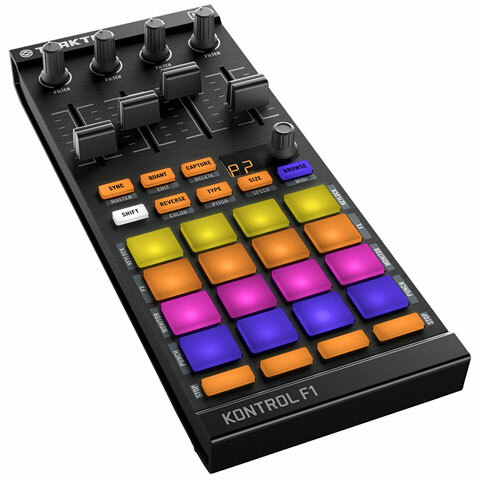 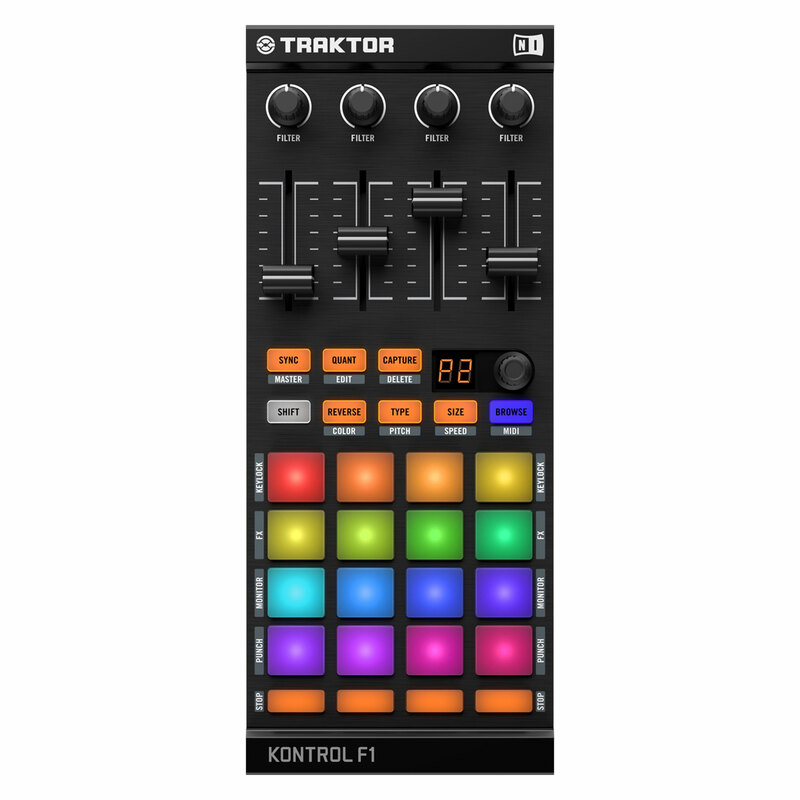 Native Instruments Traktor Kontrol F1 Dj controller features a matrix of 16 x pads, various backlit soft buttons and 4 x Remix Deck faders which correspond to the functions of Traktor Pro 2.5's Remix Decks. 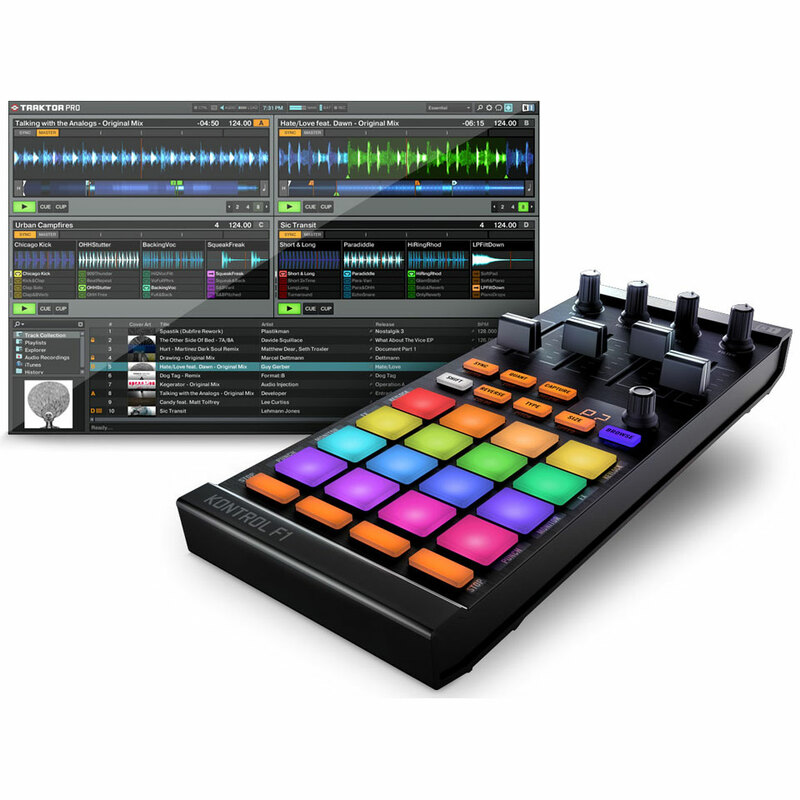 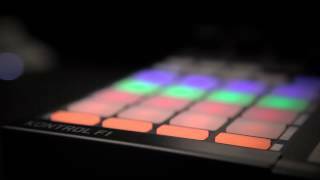 Provides access to 64 loops and samples in Traktor Pro 2.5, with a Native Instruments Traktor Kontrol F1. 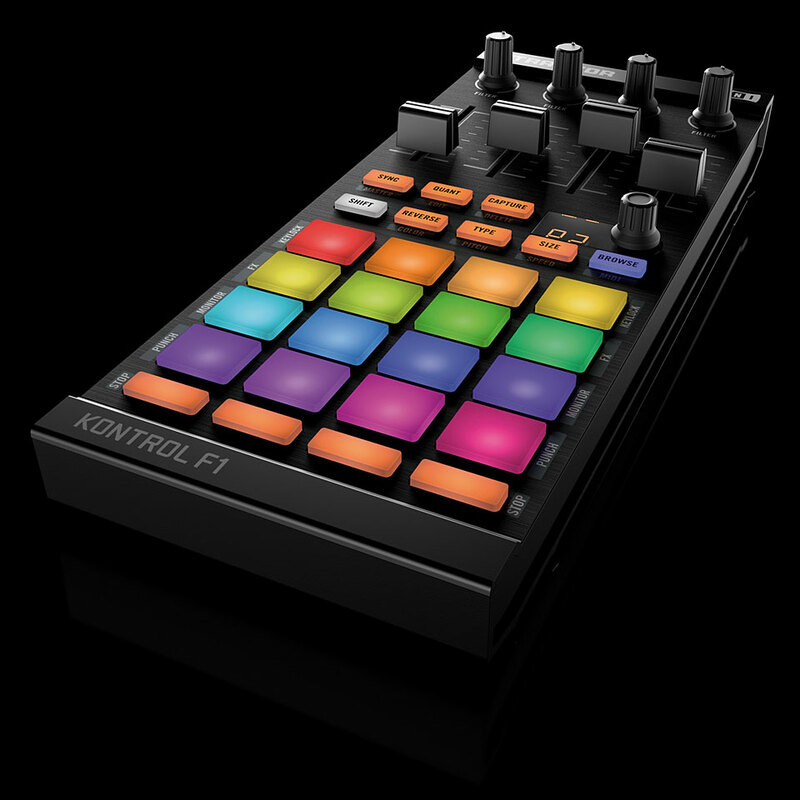 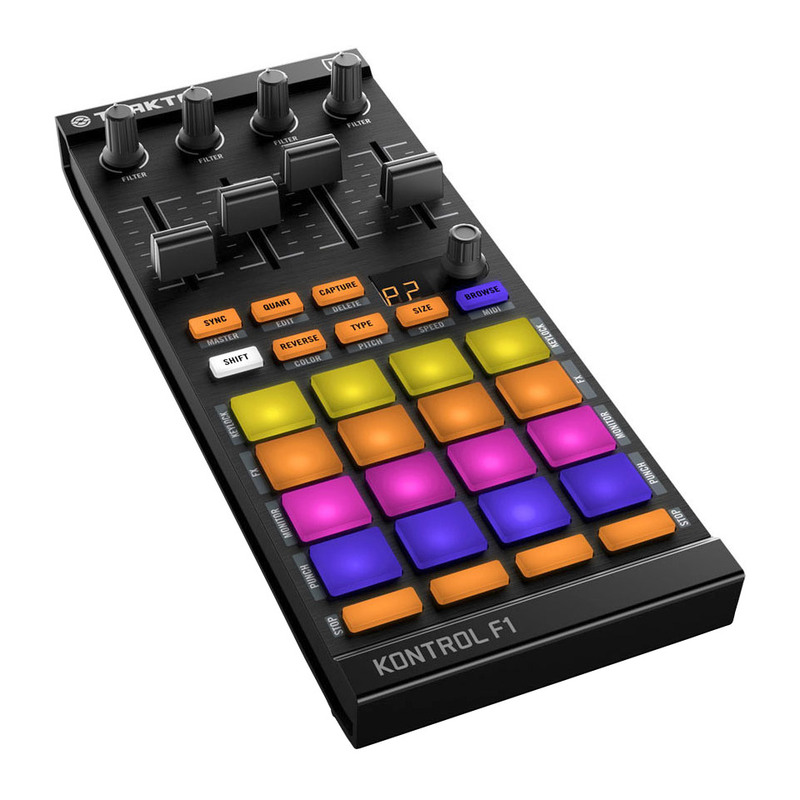 Instead of four loops or one-shot samples, Remix Decks provide access to 64 samples and loops, and the Traktor Kontrol F1 takes control of all of them. 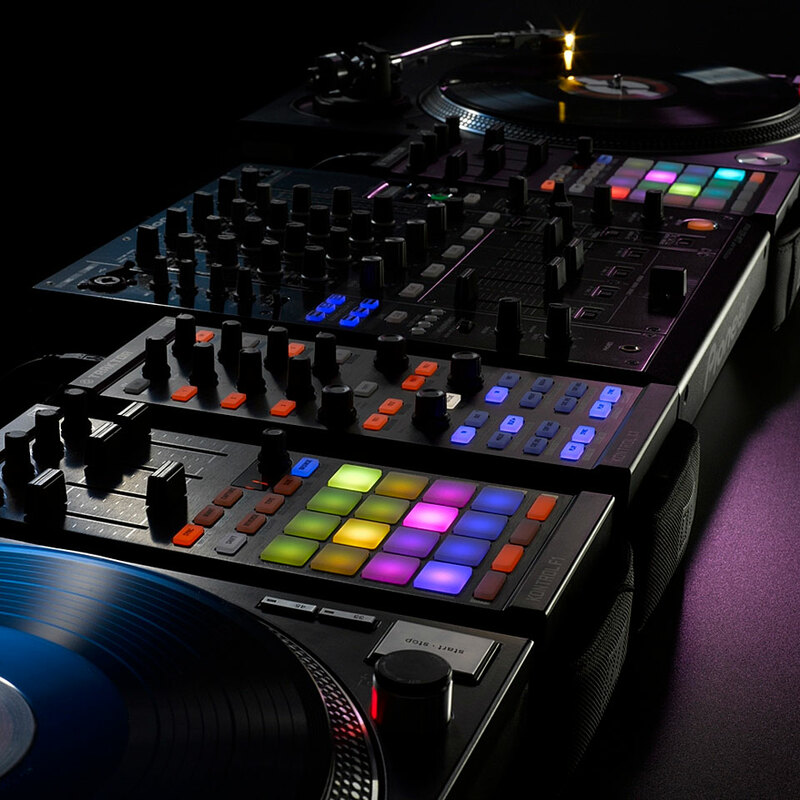 Remix Decks let you go from enhancing your traditional DJ sets with triggered sounds to creating entire sets based solely around loops and samples.